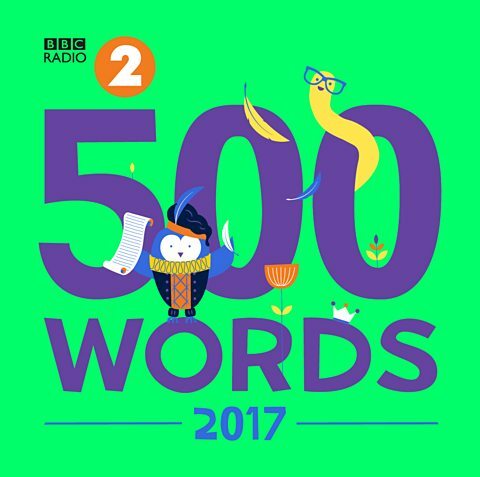 Class 3 are working towards submitting a piece of writing for the BBC Radio 2 500 words competition. The children write an original story on any subject or theme in 500 Words or fewer and submit it online. If they win, their story will be read live on the radio by a superstar celebrity…like Julie Walters, Tom Hiddleston, Sir Kenneth Branagh, Jeremy Irons, or Sherlock himself – Benedict Cumberbatch. Each year, 10 million Radio 2 listeners hear, read and love these stories. 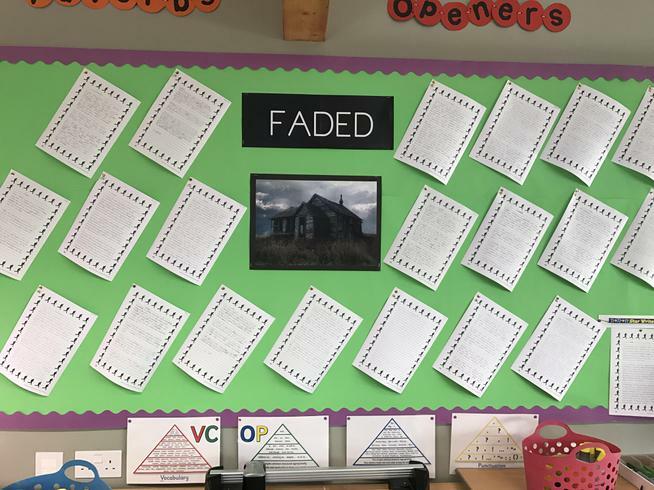 Class 3 have been working hard this term to write a narrative to follow the music video 'Faded'. The video follows a lone man on his quest to find his home in an apocalyptic barren landscape. The children were challenged to include relative clauses, varied openers, prepositional phrases and imaginative vocabulary. 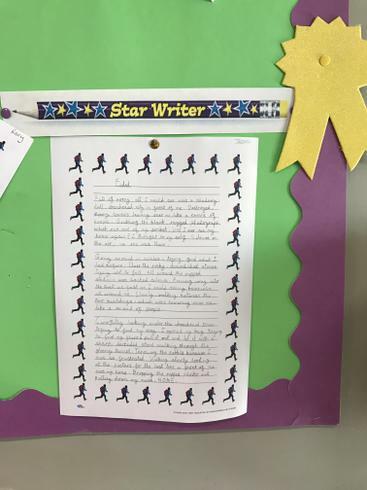 The star writer award was given to Jessica Seed - Well done Jessica!